India gave birth to Buddhism, to all the timeless knowledge that we have been practicing throughout our lives. And from a Buddhist point of view, not only in this life but over many, many life-times. According to the prophecies of the Buddhas, this nation has not only been the host for Buddhism in the past, in the present, but will continue to be so in the future as well. As Buddhists, it is essential to remember what India has given to us. India looks back to thousands of years of spirituality, a deep quest for human values and inner growth. In this conducive atmosphere, it also became the cradle of Buddhism. 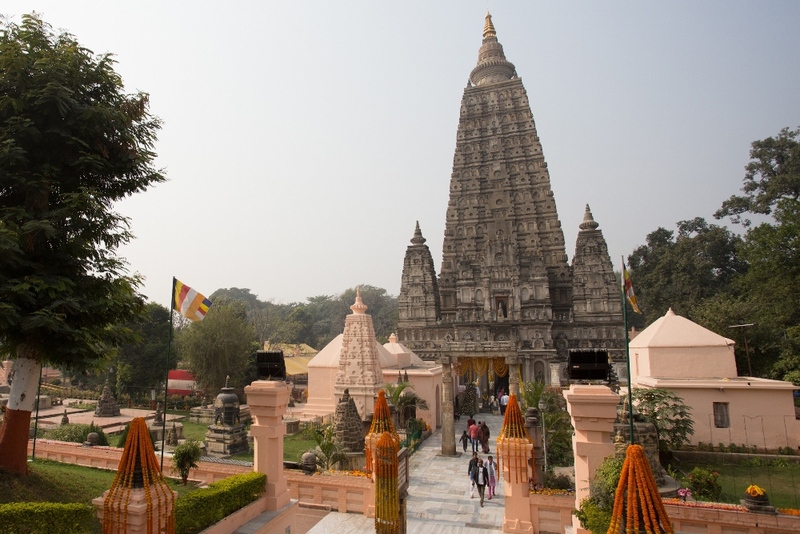 It was more than 2,500 years ago that Prince Siddhārta Gautama from the Śākya clan lived in the Northern part of India, in the ancient city of Kapilavastu. According to tradition, he was to follow his father as the ruler of a prosperous kingdom. Yet, he chose to abandon this tempting path, and embarked on a spiritual journey which culminated in his complete awakening, transcending birth and death. 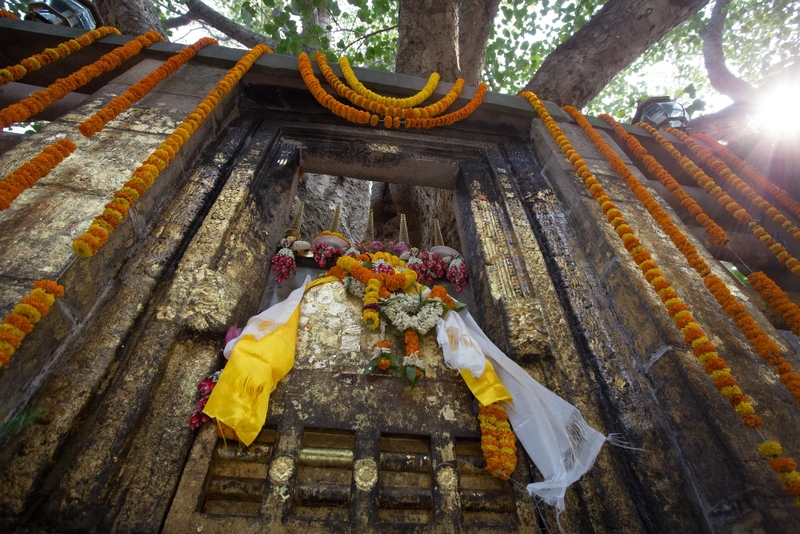 The place where he is said to have achieved enlightenment—referred to as the indestructible seat or Vajrāsana—is located in a place known today as Bodhgayā, in the vicinity of Paṭnā in Northern India. Having achieved complete awakening, he started to share his deep wisdom and Inner Wealth with people of all walks of life and consequently became widely known as Buddha Śākyamuni, the ‘wise awakened one of the Śākya clan’. In fact, the Buddha dedicated his entire life to support others in their endeavor to overcome suffering. The main stations of his life: his birthplace, Lumbinī; the place of his enlightenment, Bodhgayā; the place of his first teaching, Sārnāth; and the place of his passing, Kuśīnagar; have become important pilgrimage sites for all Buddhist traditions. 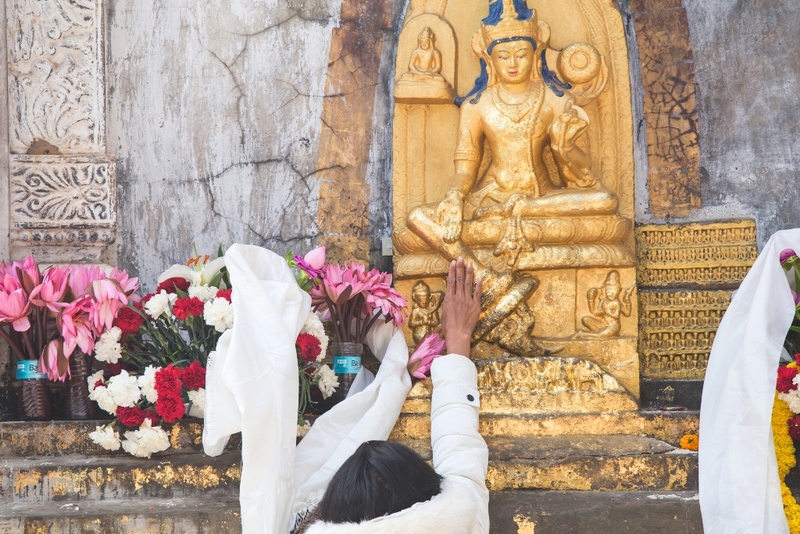 In particular, Bodhgayā continues to attract millions of devoted followers, who offer their respect and prayers at this foremost place of merit. Ānanda Stupa with Ashoka Pillar at Vaishali. 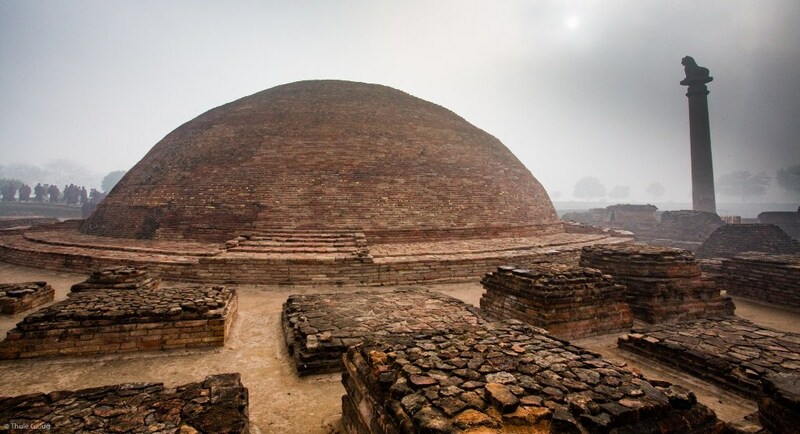 It was in Vaishali that Buddha announced that he would live only three months more, before he went to Kushinagar where he achieved Mahaparinirvana. After the Buddha’s passing (‘parinirvāṇa’), India hosted a number of Buddhist councils, where his enlightened disciples codified the Buddha’s teachings. During the following centuries, these teachings spread throughout India and beyond, reaching Sri Lanka, Southeast Asia, Central Asia, and East Asia. And ever since the Buddha’s life, India itself saw a growing number of great Arhats and Bodhisattvas, realized individuals such as the famous Mahāsiddhas, and scholarly Paṇḍits, contributing to the vast legacy of Indian Buddhist scriptures and teachings. Everywhere in the country, there were centers of learning and meditative training, among them large monastic universities housing tens of thousands of students, such as the great Indian Mahāvihāras of Nālandā, Vikramaśilā, Odantapurā, Somapurā, and Jagaddala to name some of the best known among them. In the seventh century, Buddhism eventually found its way from India to Tibet. First, there was the so-called early period of dharma transmission, followed by the later period—from the tenth century onwards—which led to a thriving Buddhist culture in Tibet. With their centers of learning and meditation, and their ongoing translation works from Sanskrit into Tibetan, the Tibetans continued to hold the Indian Buddhist heritage in the highest esteem, and continue do so today. While Tibet and other Buddhist countries continued to maintain the Buddhist traditions, it virtually disappeared from India for several hundred years. However, in today’s world, India again plays a vital role for Buddhists, by protecting the most important ancient sites which remain the source of inspiration for every generation of Buddhist followers around the world. A number of Indian masters—all of them highly accomplished adepts—are the special source for the Buddhist transmissions that in Tibet became known as the Karma Kagyu lineage. Foremost among them were the great philosopher Nāgārjuna, the mahāsiddha Saraha (8th c.), the brahmin Tilopa (988-1069), the paṇḍit Nāropa (1016-1100), and the great master Maitrīpa (b. 1007). The Tibetan translator Marpa (1012-1097), who spent approximately sixteen years in India, mastered the Buddhist transmissions which he mainly received from Nāropa and Maitrīpa and translated a number of major works from Sanskrit into Tibetan. Upon his return to Tibet, he started to teach. Among his many disciples, the most important for the transmission of the lineage was the great yogi Milarepa (1053-1135). By virtue of his tremendous dedication to meditation, Milarepa is said to have achieved the state of a Buddha in one lifetime. His main student Gampopa (1079-1135), a physician and scholar monk known already for his deep knowledge, followed Milarepa’s Mahāmudrā instructions and accomplished them. Moreover, Gampopa connected the Mahāmudrā transmissions he received from Milarepa with the teachings brought to Tibet by the Indian master Atiśa (982-1054) and thus offered his students a broad access to Buddhist practice. Gampopa attracted many disciples who stayed with him in his hermitage and who themselves became highly realized and accomplished. One of the most outstanding among them was Dusum Khyenpa, the first Karmapa (1110-1193). He received comprehensive instructions based on the entire corpus of the Buddha’s teachings and achieved supreme realization. With him, the Karma Kagyü tradition, which is a sub-school of Gampopa’s Kagyu tradition, came into being and was named after him. His reincarnation, the 2nd Karmapa, Karma Pakshi (1204-1283), was the first recognized reincarnated lama of Tibet. Ever since that time, the Karmapas have manifested in a successive line of reincarnations until the present day, always heading the Karma Kagyu school and safeguarding its spiritual heritage. The present Karmapa, Trinley Thaye Dorje (b. 1983) is the 17th Karmapa who has received the transmission of the Karma Kagyu tradition from his guru and fellow lineage holder, the 14th Shamarpa (1952-2014). The 16th Karmapa Rangjung Rigpe Dorje (1924-1981) had to flee to India in 1959 due to the drastic political changes in Tibet. At that point, the Karma Kagyü transmission returned to the country of its origin. Along with the Karmapa, a great number of eminent Tibetan Buddhist masters were able to settle in India. Jawaharlal Nehru (1889-1964), the then prime minister of India, saw to it that Tibetan refugees could form settlements in India to retain their culture. Thus, by virtue of the hospitality and generosity of India, the Buddhadharma that had been maintained in Tibet for hundreds of years, could continue to blossom. The 16th Karmapa was offered a large plot of land by Sir Tashi Namgyal, the then ruling Chogyal (King) of Sikkim, and was given a grant by the Indian Government to establish a new monastic center. 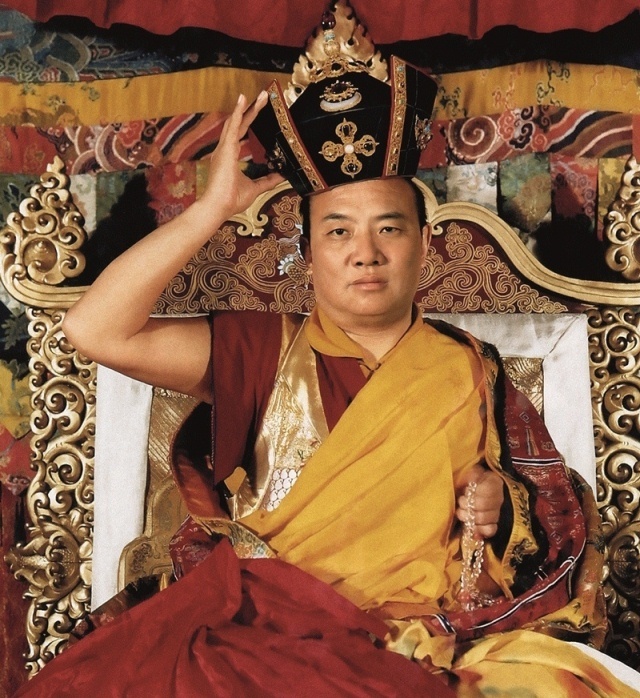 In the 1970s, the 16th Karmapa, travelled to Europe, the United States and Southeast Asia – one of the first Tibetan lamas to do so. During several journeys from 1975 -1981, he gave teachings, established Buddhist centers and sent lamas to teach everywhere. In this way, the teachings of the Karma Kagyu lineage were first transmitted from India to Tibet, back to India, and from there on to an international following. In 1981, the 16th Karmapa passed away, after having transmitted the essential teachings of the Karma Kagyu tradition to the 14th Shamarpa, Mipham Chokyi Lodro. In accordance with the tradition of reciprocal recognition, he in turn found and recognized the 16th Karmapa’s reincarnation, Trinley Thaye Dorje, and took care of the 17th Karmapa’s Buddhist training. In 2014, the 14th Shamarpa passed away having entrusted the responsibility for maintaining and leading the Karma Kagyu tradition to the present 17th Karmapa, Trinley Thaye Dorje who is now the main holder of this ancient tradition. 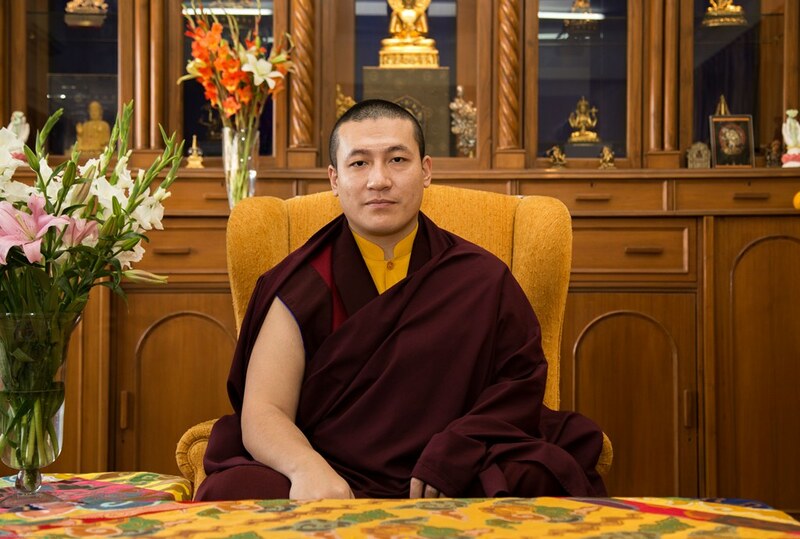 As the lineage holder of the Karma Kagyu tradition, it is one of Karmapa’s key responsibilities to ensure the continued presence of the precious Buddha Dharma in India, by protecting and preserving the lineage and the entirety of the teachings. It is for this reason, that His Holiness is presently establishing and supporting a growing number of monastic and educational projects in India. 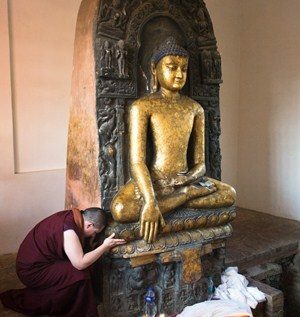 Karmapa, a world spiritual leader who is responsible for more than 900 monasteries and Buddhist centers in 68 countries, continually prays that the Buddhadharma may remain in the world. Karmapa considers India, a nation with such a rich spiritual history, as the most auspicious platform to enable the Buddha’s teachings to be accessible both in this country and all around the world. Learn more about SABA’s Commitments and the projects in which SABA is now involved. Contact the SABA Office. We are happy to respond to any enquiries about SABA, its projects and activities, and discuss any support you may wish to give.